Clarendon 3131 in 2 sentences: Clarendon 3131 is located in a residential neighborhood just three blocks from the Clarendon Metro. It offers a quiet lifestyle in a small community with extraordinary units that feature luxury finishes and either a balcony or a terrace/yard. Clarendon 3131 (formerly known as Latterners Clarendon) was completed in 2010 and is the newest condominium building in Clarendon. There are four floors, each with four units along with one townhouse on both ends of the building. Residents get covered parking behind the building. The building completely sold out in 2010 during the initial sales with both townhouses selling for over $1 million. While not in the heart of Clarendon, the neighborhood and amenities that Clarendon has to offer is just a short walk away. Because of the Clarendon 3131’s location, it faces the residential 9th Road and is officially in the Lyon Park neighborhood. One major perk of living at Clarendon 3131 is the low condo fee. Since there are few amenities, fees are much lower. Another benefit of living at Clarendon 3131 is you are on a quiet, tree-lined street. The developer (Holladay Corporation, who also did 1800 Wilson) left a few mature trees on Irving and 9th as part of the site plan. There are some new projects coming to the area that will affect Clarendon 3131. The Clarendon residential inventory is about to get 9th Road Residences (UPDATED 5/2015: 9th Road Residences is now known as The Hyde), a new rental apartment that will feature 18 units. The Hyde is scheduled to be completed in 2014. Another project coming to the area is 10th Street Flats. This is a huge project that will encompass the corner lot on Highland and 10th St. This building will feature five levels with over 140 units featuring retail on the ground floor. The building will replace a salon, Jay’s Saloon, and a car dealership. Shocker, a used car dealership in Clarendon being replaced by mixed use development. Clarendon 3131 floor plans are either going to be 1,125 square feet or slightly larger at 1,425 square feet. All residences will be two bedrooms and two bathrooms with the larger layouts featuring an additional den area. Luxury features are found throughout the condos at Clarendon 3131. Residences will have hardwood floors, crown molding, recessed lighting, gourmet kitchens, and other high quality staples that are now seen as par-for-the-course for luxury condominiums for sale in Clarendon. Other common themes include full-size stackable washer/dryers, large walk-in-closets, and a balcony. There are a few downsides to living at Clarendon 3131. The first is that it is a little away from the action. You can certainly walk to Clarendon in a very short amount of time, but unlike Station Square, Clarendon 1021, or even a rental community like The Clarendon, you are not immediately in the center of Clarendon. Some people need to be right in the action, others may complain of foot traffic or noise that comes with being in the center of everything, so it is all a matter of preference. Another downside is that there are very few amenities, if any. Other condos in Clarendon have amenities like an outdoor pool, or even a conference room; Clarendon 3131 has no areas for resident activities. It is a building where you come home from work and relax on your balcony or on your terrace. Amenities are not really needed in a complex with so few units. 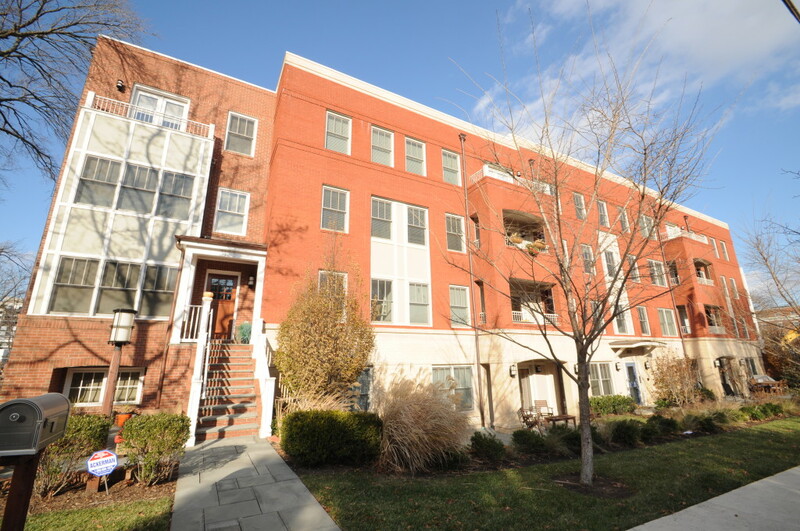 If a fitness center or front desk staff is a must, there are condos in Clarendon that can accommodate. Clarendon 3131 provides a mix between living in a townhouse (easy access outside, quiet neighborhood setting, large floor plan) and living in a condominium. These larger layouts with the guarantee of an outdoor space in Clarendon can be tough to find in the bigger buildings in the vicinity. At Clarendon 3131, your tradeoffs are going to be amenities and the high-rise lifestyle, but there is a lot going for the community that cannot be replicated at other condos in Clarendon. The neighborhood has its big box retailer condos, but for something a little bit quieter and larger, Clarendon 3131 makes a desirable alternative.